Our fabulous Design Team sure can create the most amazing things. 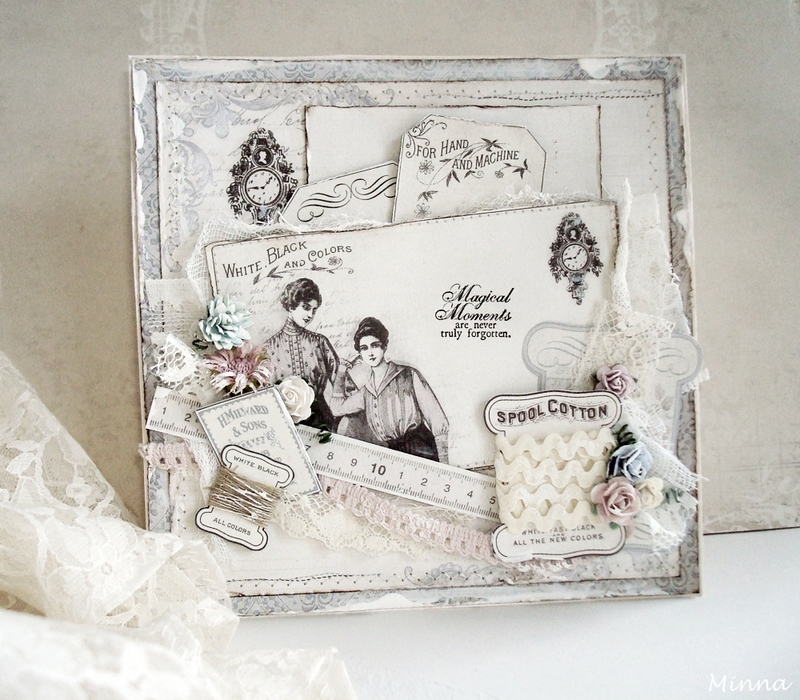 Here are two inspiring cards created by Minna, using our most recent collection Alma’s Sewing Room. Enjoy! I made these cards using papers from Alma’s Sewing Room collection. 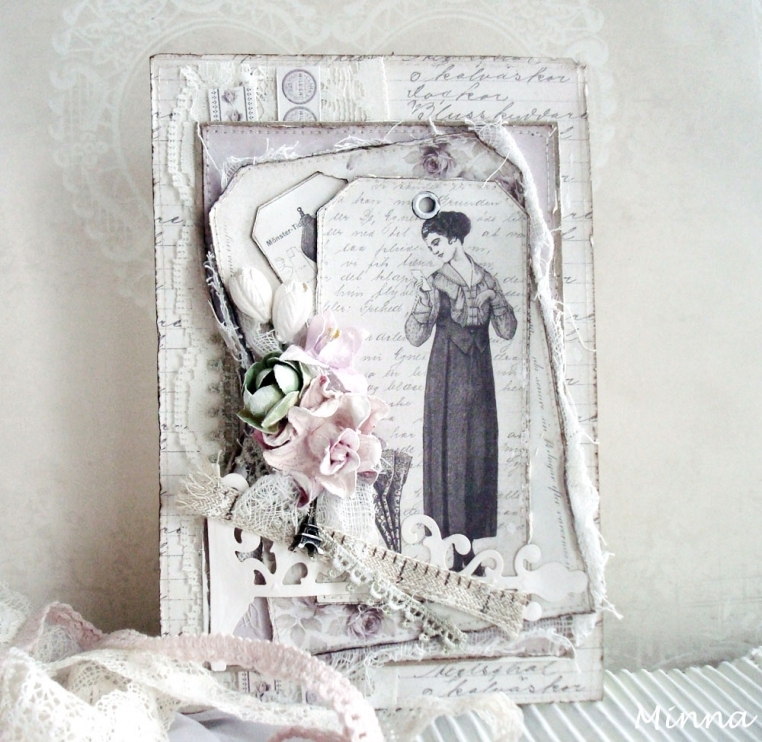 The little things from the Cut out sheet are so wonderful to use, you can create so shabby chic style. I really love them! I’m wishing you a wonderful day!